Hi, I am Ian Dixon, and WELCOME to my unofficial but dedicated RMP Web-Site. A special to the thousands of CMP/RMP Probationers and Trainees who have passed through the various training centres of Gibraltar Bks-Aldershot-1914-1920, Frogmore Hall, Burniston, Gatton Park, Aycliffe, Mychett Place-Aldershot 1920-1947, Inkerman-Woking, the latter was demolished in 1973 after a training exercise. It is now the 'Goldsworth Park' housing estate and 'Sir Winston Churchill School', and then Roussillon, which became the training depot for the RMP from April 1964. Roussillon was closed in September 2005. As at July 2010 the former barracks is earmarked for redevelopment of 252 new homes-AFB252-ring a bell?.Click here. You can also view some pictures taken recently (October 2012) by Peter Buckle-see "Roussillon Revisited" in RMP Miscellaneous below. The RMP is now part of the tri-service 'Defence Police & Guarding' College at the former "HMS Dryad" base at Southwick Park, Portsmouth, Hampshire, where incidentally, Harry Burden's ashes are buried by the chapel. He died in Chichester in July 1994, aged 78 years. Recent 2016 Defence cuts include a 30% reduction in this base area by 2040! Originally, when I first set up this site in September 2001, its purpose was simply to tell of my experiences as a conscripted National Serviceman sent for training at Inkerman Barracks, Woking, Surrey, and after passing-out there as a proud 'Red Cap' in April 1953! But, as a direct result of many former RMP contacting me with their experiences and information, it gradually developed into an archive where former Red Caps can peruse their training squads and trace the names of those colleagues who served with them during their training and service. I am in the ongoing process of compiling a list of former and serving RMP together with a list of RMP Training Squads and known SI's and squad members from 1947 to 2009. My story now appears as one of the many highlighted items on these pages. Simply click on the highlighted item you wish to view. The Squad Numbering System and Unofficial Nominal Roll are ongoing. I rely on former RMP members to assist me with the compilation of names, information and photos. The photo albums which I have put together contain squad photos and general pictures taken by many former CMP/RMP members. These are LISTED UNDER, and has since become the largest single RMP collection on the www, displayed for the greater benefit of those who were proud to have been British Military Police whether officers or NCO's;male or female;national service or regular-all wore the same cap badge! All of these files and photos will eventually be given to the RMP Museum for future posterity. Original squad photos produced were not automatically sent to the RMP Museum at the time of taking. Please send yours to me to be added to the collection. Existing reproductions using third party software programs are far from perfect as they are around 100 KB's The originals can go to 2 MB's-you can imagine the space needed on line with third party software! Meanwhile, if you would like to view the individual original copies, please e-mail me. Remember, not all copies are large files. TAKE A NOSTALGIC TRIP DOWN MEMORY LANE. WITH YOUR HELP OUR RMP PHOTO GALLERY IS KEEPING THE SPIRIT OF THE CORPS ALIVE! THERE IS NOTHING MORE POWERFUL THAN A STILL PICTURE WHICH CAPTURES A MOMENT IN HISTORY! PLEASE SEND ME YOUR SQUAD PHOTOS ONLY (from 18.10.2016) NO MATTER WHAT CONDITION. SQUAD & MT SHOULD PREFERABLY BE 1500 PIXELS OR LARGER WIDE. IF THEY ARE SMALLER THEY MAY NOT ENLARGE WITH CLARITY! MANY PHOTOS INCLUDE PEOPLE WHO ARE UNKNOWN. IF YOU RECOGNISE ANYONE PLEASE INFORM ME (Scroll down to e-mail me), SO THAT I CAN IMPRINT NAMES ON PICTURES-IT'S ALWAYS GREAT TO PUT A NAME TO A FACE! NOTE:In some of the Inkerman and Roussillon Depot photos you will notice the wooden carved Commemorative Memorial Plaque 1939-1945. This was removed and taken to Roussillon in 1965. Colin Ullman-Jones informs me that it now frames the inside of the doorway of the new Chapel in Southwick. You will also note the various forms of dress in these photos. All forms of RMP dress are i.a.w the British Army Dress Code which are listed at www.forces80.com/dress_codes.htm (see my Links Pages above). SIMPLY CLICK HIGHLIGHTED TITLES TO OPEN ALL FILES & SQUAD PHOTO ALBUMS. HINT:To enlarge displayed photos click on "Change Zoom Level" in bottom right-hand corner of task bar.Zoom range from 50% to 400%. (Don't forget to reset back to 100% after viewing! )If thumb is shown blank click on it anyway to open photo if there is one! RMP SQUAD NUMBERING & NOMINAL ROLL OF DRAFTEES & RECRUITS. VEHICLE MOTOR TRANSPORT TRAINING PHOTOS. TRAINING SQUAD PHOTOS-INKERMAN-1947 to 1964. NOTE: Most Roussillon squad photos did not contain names from 1964 on-but were often signed by squad members on the rear! Many Roussillon squad photos were taken by SIB trainees whist doing their photographic courses. There are a lot of empty spaces in the latter year albums-can you help fill the spaces please? Note:Jack produced these books whilst serving in NI with 179 Pro.Coy. at Aldergrove as a Platoon Commander as 'something to remember NI for'. There are many pictures. If anyone recognises themselves and/or someone else in these pictures where they are not printed, please tell me so that I can add their names. 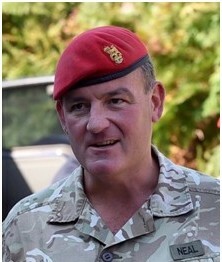 After Jack left the army, he became security manager at a large engineering works in Manchester with a 7,000 workforce. Jack is now a "Battlefield Tour Guide" specialising in WW2 sites. If you'd like to join Jack on one of his organised tours please contact him for an enjoyable experience! COMMENT on book 2 dated 10.04.2006 by Kevin Morson regarding the picture of Dave Ross's funeral. "..the funeral took place in Edinburgh. Front left is Paul Halling. Front right is Steve Carey, then Gordon Bell, Kevin Morson and Phil Grecki. I was part of the Londonderrydetachment when Dave was murdered. Apart from those already mentioned, the other detachment members were the OC Mike Copeland, Terry Burrough, Mark Brown and Julian Lee. Mark Brown was following behind Dave in another vehicle when the device exploded. I had undergone my SIB training with Dave and we were selected on the same SIB Board in 1981. He was a great lad with a lovely family". The Ulster Watchdogs-Part 3, from 1984 until the end of Op 'Banner' in NI on 30.07.2007, is presently being drafted by Maj.Martyn Bird. NOTE:Some of these flashes were worn in WW2 and since. The designs of all the formation signs of BAOR derive from that of the 21st Army Group which became BAOR in 1945. 1 Corps was reformed in Germany in 1952 using its wartime spearhead with each branch of service showing the spearhead on a background divided in arm of service colours. The First Infantry Division used the white triangle which symbolically stands for the top of the spearhead of 1 Corps. This formation sign used to be on a black or kharki background or on its own. Variations were a narrow red edging (infantry), yellow edging (Armoured). Artillery and signals wear the white triangle on a diamonmd shaped background of arm of service colours. The 17th (BR) Division was formed out of the 17th Indian Div.which had a black cat on a kharki background. This was changed in 1947 to a yellow background and became the 17th (BR) Div. in Malaya. In 1965 it became the Malaya District. The 40th (BR) Division was formed in 1949 and took part in the Korean War. Its flash was a cockerel on a black square or rectangle. The First Commonwealth Div. also fought in Korea and was raised in Korea from British & Commonwealth troops in 1951. There are in existence a few slightly different variations of its flashes. Former Gillman Barracks, Singapore Today Album. A collection of photos courtesy of Vicky Corboy. Note:For copyright reasons I can't reproduce a copy of a 2005 aerial view of Gillman today, taken at 139 feet elevation, but it can be viewed by logging on to http://earth.googlr.com (Google Earth_Image.jpg). Log pointer 1deg16'46.30"N and 103deg48'17.97"E. Vicky's comments on this picture:Quote:"Row of orange roofs are houses and above that-now ISS school-on Preston Road which I think was the accomodation block. the big building underneath is our shop-either the (former) officer's or sergeant's mess. The other mess is the big white roof you see to the left of our shop. The next building down directly from the shop (right side) is the former cinema and is now another shop owned by my boss". End quote. NOTE 1:Men and women who served in HM UK Armed Forces up to 31st December 1954 are entitled to a Veteran's Lapel Badge. 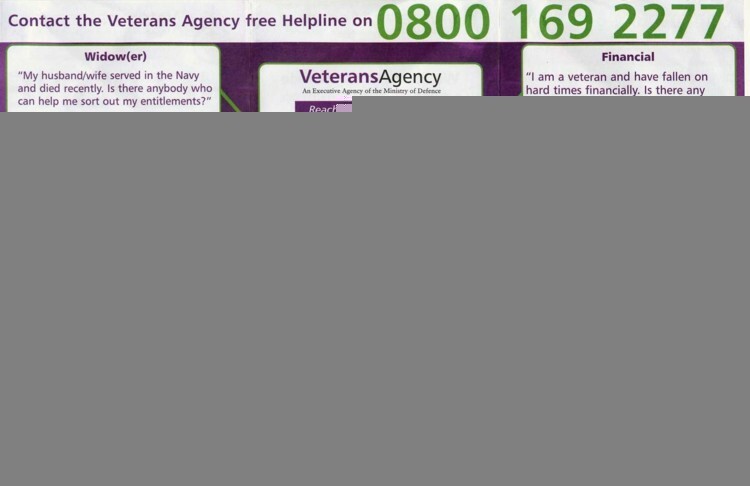 You can apply for this free badge by completing a form of application from:Veteran's Agency, Thornton-Cleveleys, Norecross, Blackpool, England, FY5 3WP. Note: I applied for my badge by sending my details by e-mail and received it back within 10 days! State Name & address. Service rank;number;where served and dates.The badge is attractive and comes in a jeweler's box! LATEST NEWS:MOD has also decided to issue the badge to those veterans who served between 1st January 1955 and 31st December 1994. As at 11th September 2007, over half a million badges had been issued!!! NOTE 2: Service Records (Army):For Reg/Res (all ranks) service ending: (1) Prior 1921-The Keeper of Public Records, PRO, Ruskin Ave., Richmond, Surrey TW9 4MDU. Website:http://www.pro.gov.uk Note WW2 bombing destroyed about two thirds of records 1914 to 1940. (2) 1941 to 1997-Army Personnel Centre, Historical Disclosures, Mailpoint 400, Kentigem House, 65, Brown Street, Glasgow G2 BEX. (3) 1997-Contact Army Personnel Centre, Disclosures 1, Mailpoint 520, Kentigem House, 65, Brown Street, Glasgow G2 BEX. NOTE:.pdf files are best opened with Adobe Reader 10 or 11.
and 241 GHQ Pro.Coy.Aldershot (AER-May 1955). Occasionally, I may e-mail former RMP requesting RMP related information and/or pictures. This is NOT SPAM. It is a sincere request for assistance! This web-site was set up on 20th September 2001. Redcap70.net domain is registered and is hosted by PowWeb.com (USA), without advertisements and with complete internet virus security by Trend Micro Maximum, updated daily. Spam mail is quarantined automatically, then deleted. This site is compiled by me personally. ISP Mobile Broadband is by Optus Wireless and Vodafone Wireless. FTP upload to server is by 'CoffeeCup'. All incoming/outgoing mail is scanned for Viruses and Malaware by Trend Micro Maximum 2017 and opened only if I am sure of the source. If a virus alert is detected on incoming mail I delete it immediately, so, if YOU don't get a reply please run a check and try again! Remember-the internet is VERY INSECURE. If you correspond with me via e-mail it is assumed that you understand this risk and accept that my response may be framed in the interests of 'Data Protection' so far as is possible by my ISP's and your own ISP. This site does not reflect the official policy nor views of the MOD/AGC/RMP in any way whatsoever, but if you can't find what you are looking for anywhere else, you may just find it here! My sources are the lads and lassies who were actually at the coal-face representing the Corps! Sometimes files get corrupted for various reasons and don't appear as intended. If you notice something wrong kindly inform me. I welcome criticism as it is a way of correcting matters! or "Collect" as some would prefer. My comment(s):After all these years we have finally got an updated MOD RMP website! I am really impressed with it. Click the MOD RMP Link. � Copyright 2004 No reprint without permission. Please ask first.